Innovation meets portability with QSC’s PLD 4.5 Power Amplifier. It delivers unbelievable flexibility to your speaker system with Flexible Amplifier Summing Technology (FAST), which distributes power in different combinations from one to four outputs. Equipped with a fourth generation Class D power amp design, the QSC PLD 4.5 Power Amplifier is made to achieve matchless audio quality. Furthermore, the QSC PLD 4.5 Power Amplifier is crafted for portable live sound environments, and you’ll be able to dial up sophisticated settings in seconds with the featured Preset Wizard. 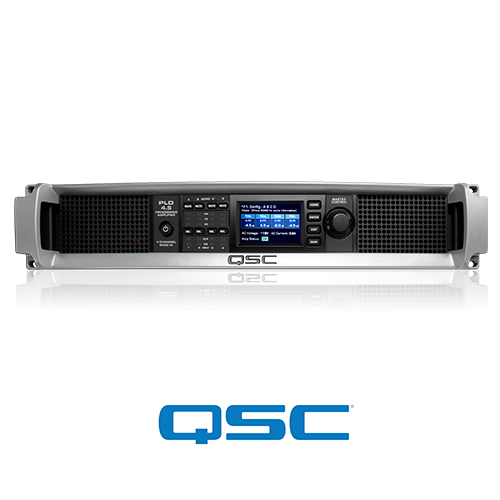 Compacted in two rack spaces, the QSC PLD 4.5 Power Amplifier is an essential companion for your live sound rig.